Media Intelligence Partners have worked to transform Mothers at Home Matter from a low-key members’ organisation to a nationally-recognised pressure group. Mothers at Home Matter represent mothers, and fathers, who choose to stay at home to look after their children, despite facing severe penalties for doing so in the tax system. The campaign faced multiple challenges in getting the voice of stay-at-home mothers heard, including encountering hostility from working female journalists and politicians, who by definition did not share their view that children benefit from maximum possible one-on-one parent interaction. 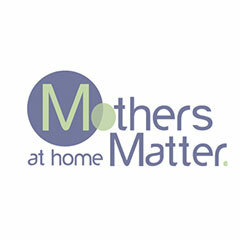 MIP had a two-pronged strategy in its work for Mothers at Home Matter. The first was to alleviate financial discrimination against single-earner households, in which one partners stays at home with their children. The second was confront post-feminist attitudes to stay-at-home mothers. MIP boosted our campaign from total invisibility to the forefront of national debate with a series of front page headlines and extensive broadcast coverage, including the Today Programme and Newsnight. MIP’s political and media expertise has been invaluable to promote our cause and we are delighted by the pressure we have been able to put on government policy making. Within the first three weeks of collaboration, MIP secured the campaign more than thirty articles (including three front-page headlines) in national papers and fourteen broadcast interviews. Press and broadcast coverage has been consistently maintained in the subsequent seven months. Together, MIP and Mothers at Home Matter have successfully campaigned for the introduction of a Transferable Tax Allowance, to be announced in the Chancellor’s next Autumn Statement. This would allow stay-at-home parents to transfer their personal tax allowance to their partners and therefore counterbalance, to some extent, the tax penalty currently levelled against them.